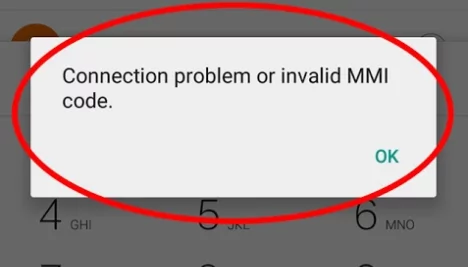 Connection problem or invalid MMI code error when you try to check your account balance is very common among MTN network users. I’m not sure if subscribers on other networks experience this same issue. Well, if they do, they will also be able to fix the issue using the solution on this page too. But for me, I experienced it while I was trying to check account balance on an MTN sim. Initially, I thought it was the problem with the telecommunication provider, but when it took longer than the time a provider should be down for maintenance, I suspected there was another problem that was hindering me from checking my account balance. Not to worry, in this post, We’ll fix that together. I tried several things on my phone to make sure I was able to check my account balance but it yielded no positive result. I even went as far as restarting my phone several times, still, nothing happened. I still continued to have “Connection problem or invalid MMI code” error. In one of the forums I surfed in a quest for a solution to this problem, a user said that this problem has prevented him to send or receive calls/text messages. Even to recharge the phone. Could this connection problem stop you from loading airtime on your phone? Well, this was not my case. But if this connection problem affects other things apart from checking your account balance, this solution will help you fix all of that. This is a practical step how I fixed mine. I’m pretty sure this tip will work for you too. As I said earlier, I tried several things to get rid of this error but I did not work for me. I read some blogs that suggested some things that need to be done to fix this error but it didn’t just work for me. Some of them seem to be a complicating step to follow. How I fixed my connection problem or invalid MMI code was to turn off my phone internet connectivity. I was on a mobile internet connection so I just turned off my phone data and dialed the USSD code again and the error was gone. This is one of the methods I consider to be the simplest in fixing this error. If you are connected to a WiFi, you might want to disconnect it for the period of time you want to dial the USSD code. Were you able to fix the connection problem or invalid MMI code problem using the tips on this page? Please share your thoughts.